This radical combination of novel ingredients will have you incinerating fat with its unique 1-2 fat-melting punch so effectively it renders fat burners of the past obsolete. When it comes to energy, this product will "amp" you to the max within minutes, ready to tear apart the weights and wear out the treadmill like an animal. Shake well prior to use. Always begin with one-half bottle (1.5 fl. oz.) of Redline Xtreme Shot daily to assess tolerance. Never exceed more than one bottle per 7 hours or two full bottles daily. © 2011 Vital Pharmaceuticals, Inc. Caution: Do not use this product if you are pregnant or nursing. Do NOT Consume this product if you are taking any prescription drug and/or have any medical condition. The user of this product assumes all liability if this product is used in a manner not consistent with label guidelines. This product contains caffeine and should not be used with any other caffeine containing products. This product is intended for use by healthy individuals only. Warning: Too much caffeine may cause nervousness, irritability, sleeplessness and, occasionally, rapid heartbeat. 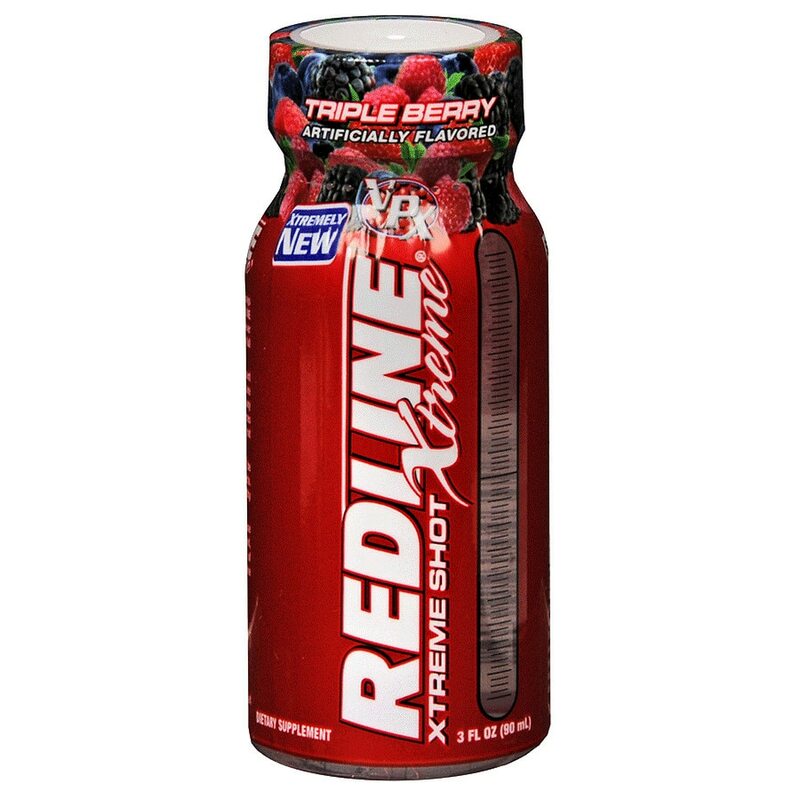 One serving of Redline Xtreme Shot provides 300mg of caffeine, which is less than three cups of coffee. Not recommended for use by individuals under 18 years of age. KEEP OUT OF REACH OF CHILDREN. Contains Phenylalanine. Allergen warning: Manufactured in a facility that processes milk, soy, tree nuts and peanuts..